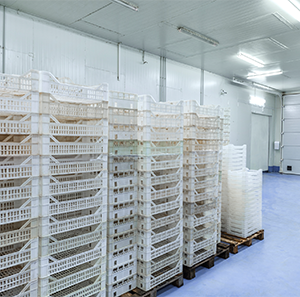 Cold rooms are the ideal place to store items that are vulnerable to temperature, such as frozen food. These walk-in storage units allow for the preservation of large items in commercial and industrial environments, whilst still providing space for you to move around the room, should you need to access certain items. 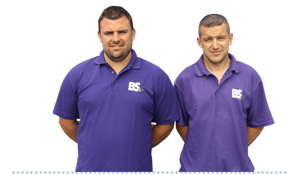 At BS Air, we are the leading provider of cold room refrigeration systems in the Truro, Cornwall and Bude areas. Our installation service is second to none; we will survey your premises and discuss your requirements with you to ensure that our solutions meet your specifications in every way. The use of chillers such as these can help you store a large number of items and keep them easily accessible for when you need them. 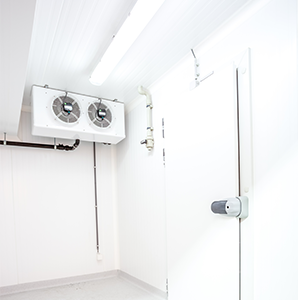 If you would like to know more about our cold room installation services, then please feel free to get in touch with one of our friendly team today and we’ll be happy to help you.